Summer is around the corner, and that means it’s mosquito-breeding time. With the wet spring we’ve had, there are more spots for female mosquitoes to lay their eggs. Protect your family and friends this summer from two mosquito-borne diseases: Eastern Equine Encephalitis Virus (Triple E) and West Nile Virus (WNV). In southern New Hampshire and northern Massachusetts, there have already been documented cases of Triple E and WNV. Both diseases are arboviruses and both conditions can be deadly. In severe cases, infected people have significant neurological damage, or they die from complications of Triple E. In most cases, people don’t know that they have the disease. In 2017, there were cases of WNV in both Massachusetts and New Hampshire. WNV affects people in every state of the Union except for Maine. In rare cases, encephalitis and meningitis. Read how concentrated cedar oil keeps ticks off of your NH yard. If you have a water trough, drain it once a week and refill. Hire your local lawn care company to apply concentrated cedar oil around your property. 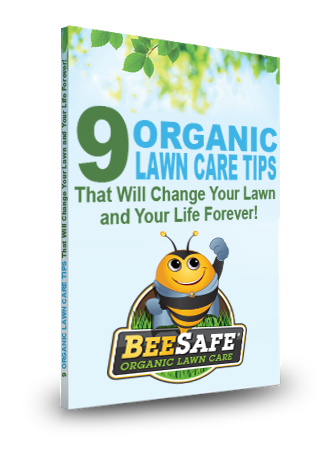 Read the six things to consider when hiring an environmentally conscious lawn care company. At Lawnmark Plus, we use concentrated cedar oil to keep mosquitoes off of your property. It has a pleasant aroma, not a harsh, chemical scent. If you’re ready to protect your loved ones this summer from disease-carrying mosquitoes, call us today at 603-262-1215 or fill out our contact form. Our Mosquito Control Services are ONLY AVAILABLE IN MASSACHUSETTS and NOT New Hampshire. Ibid, “Fight the Bite!” pdf.